Pink Fiberglass Insulation Phoenix, AZ - Barrier Insulation Inc. 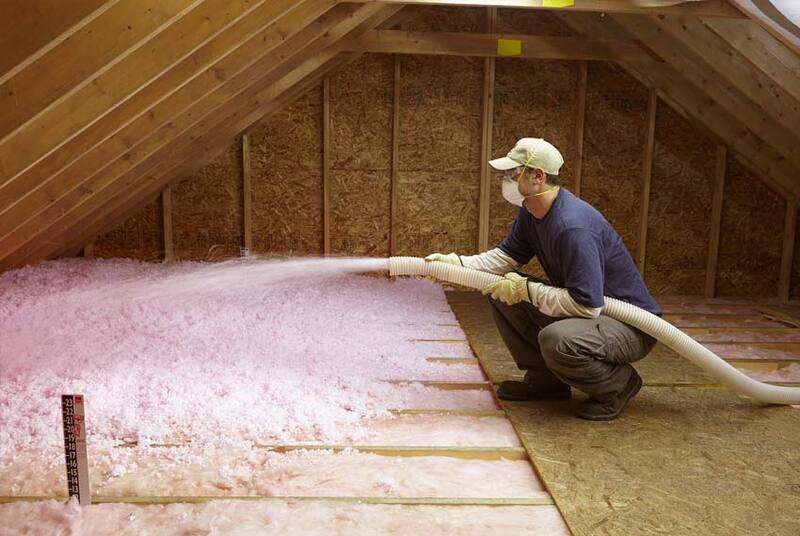 Pink Fiberglass insulation is just one of the many types of blown-in Insulation we provide. Pink insulation will maintain its efficiency, and it will continue to be reliable throughout time. It will not absorb moisture so it will never lose its insulation value. When it has been properly installed Pink fiberglass insulation will never lose its insulating value, and it will never settle, nor deteriorate. All materials are non-combustible. Its fire resistant and it is unaffected by moisture, time, or evaporation. It is a reliable product. Pink insulation comes in rolls and bat forms to be used roofs, ceilings, and in a wide range within the exterior walls. Pink insulation can also be used in metal or wood framing cavities. If you have general question or would like to schedule an appointment with one of our expert Pink Fiberglass Insulation Contractors, click the link or give us a call today at (602) 499-2922.